As a general rule, I’m not very good at the quick-and-easy routine in the kitchen. I prefer to be challenged with multi-step recipes, unique ingredients, and labor-intensive procedures. Still, having a selection of recipes that you know you can whip up at a moment’s notice is a useful thing for any cook. A quick-and-easy recipe indeed. My interest was immediately aroused. The use of graham crackers and sweetened condensed milk sounded very similar to a seven-layer or magic cookie bar recipe, but without the layering. Everything was just stirred up together and baked. 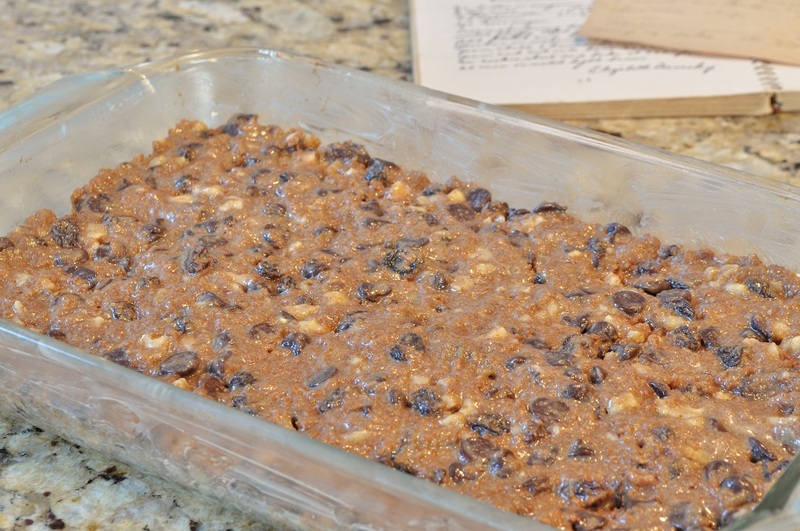 And instead of coconut and butterscotch, this recipe called for raisins along with the nuts and chocolate chips. It sounded quite delicious. It undoubtedly fulfilled the quick-and-easy requirement. I had to try them. Mixing up these bars took less time than taking the ingredients out of the cupboard. Twenty minutes in the oven, and they were done. The longest part was waiting for the bars to cool. I was very curious as I cut into them. Would they hold together? Would the graham crackers give them a crumbly texture, or had the sweetened condensed milk worked some sort of alchemy in the oven? The latter was the case. 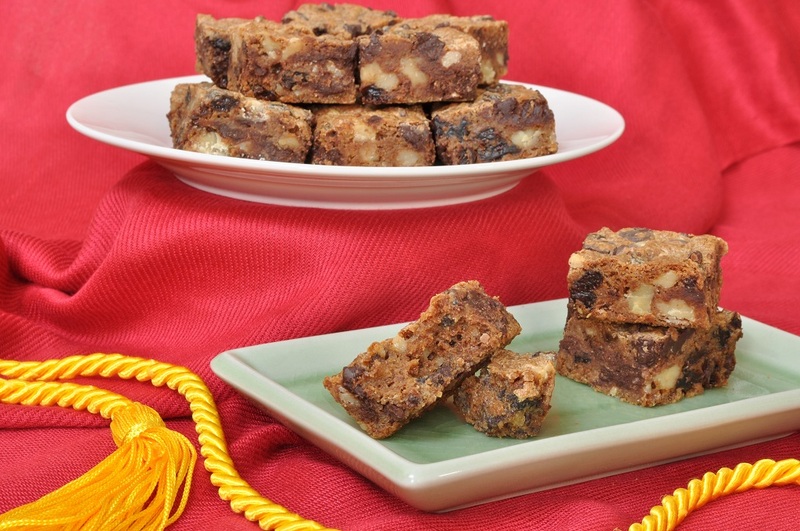 These bars are soft and moist, almost cake-like in texture. 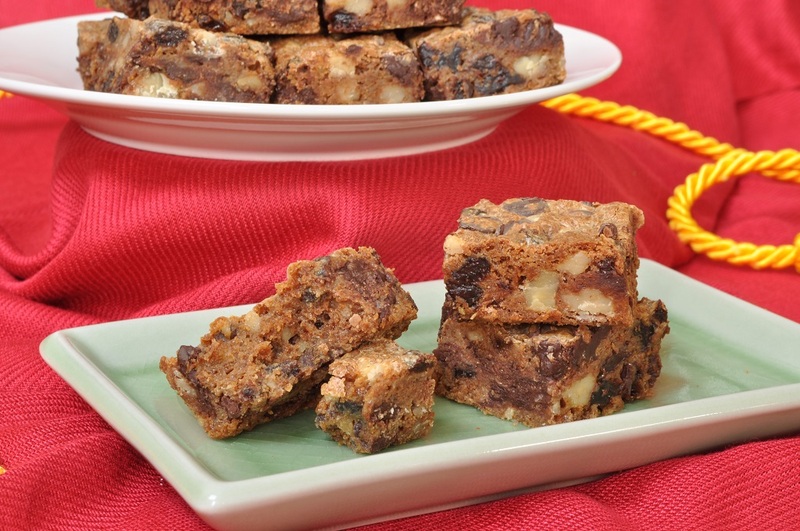 I had feared that they might be too sweet, thanks to the condensed milk, but the walnuts and chocolate chips balanced it out, and the raisins added lovely, jammy bites of fruit throughout. 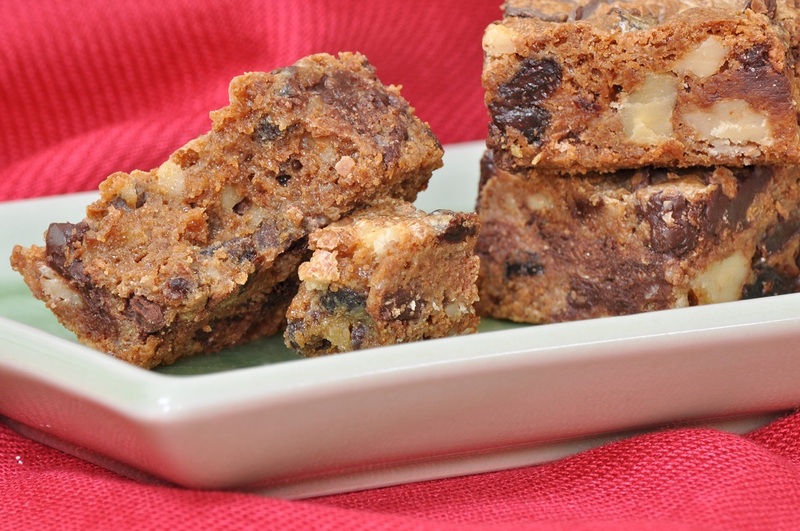 I don’t know if I count these bars as true baking, but they certainly make a delightful addition to a plate of Christmas goodies. However, they needed a name. Cookies, I felt, was a bit vague. And rather mainstream, don’t you think? So I named them Dash-Away Bars. Appropriately festive, and decidedly reflective of the recipe’s speedy nature. Although I must confess, I did make my own graham crackers for the bars. I suspect that this touch most likely pushed the labor quotient above the amount normally allowed for quick-and-easy recipes . . . but, of course, you don’t have to make your own graham crackers. 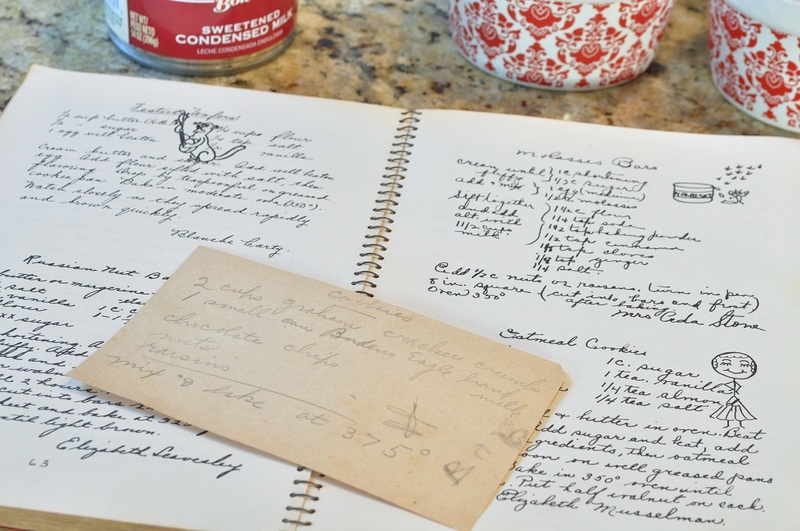 These cookies are one of the ninety vintage Bucks County recipes featured in my newly-released cookbook, Potato Pie and Cherry Pickle. If you liked this recipe, you might also enjoy the book! You can take a peek inside on its Amazon page. 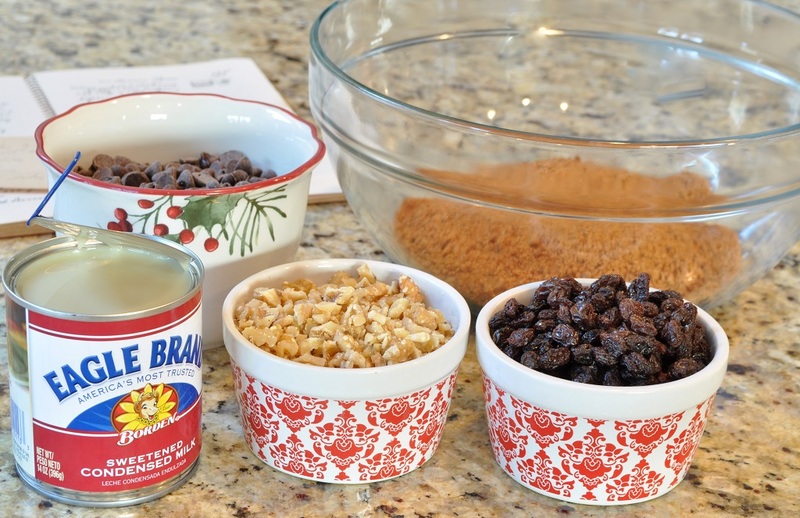 In a large bowl, toss together the crushed graham crackers, chocolate chips, nuts, and raisins. Pour in the condensed milk and stir until the mixture is evenly moistened. Press the dough evenly into the prepared pan. 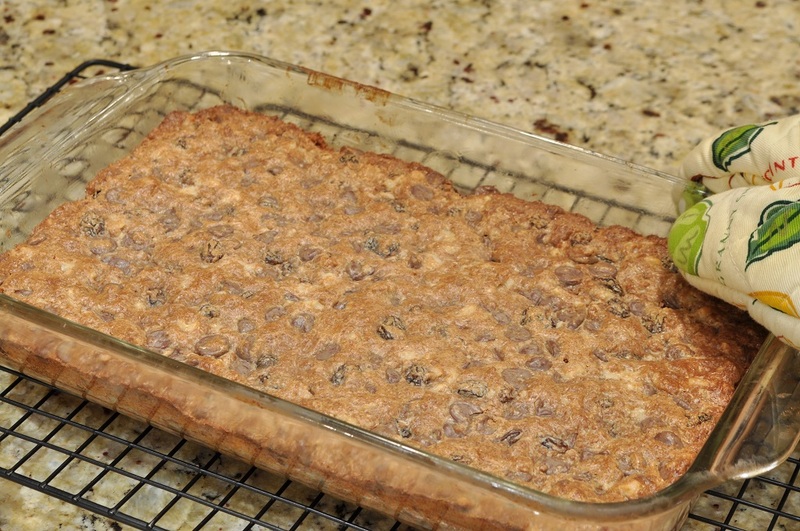 Bake for 20 to 22 minutes, until the top of the bars are lightly browned. Cut into 1 ½-inch squares. Store at room temperature in an airtight container. Thank you, Laura. You really should try them soon–they don’t require much of a time commitment! And they are delicious.